a. Professional design, strong 40kHZ cavitation far removal system, vacuum head with RF to combine function, save time for spa salon treatment. b. Effective result, contraction of collagen fibers and the regeneration of collagen and elastic deposits tighten the skin layer, making the skin smoother, healthier and younger. c. Longer Lift time, unoisetion cavitation handle would not heat, vibrate or noise, this can longer 10 times lift time than normal cavitation. When the temperature is in the range of 60 to 70 degrees Celsius, the capillary dermal collagen may shrink immediately and the customer can feel the skin tightening effect immediately. When collagen is continuously produced, it can increase the thickness and density of skin dermis to remove wrinkles, eliminate scars, restore skin elasticity and luster and make it golden and smooth. It releases powerful ultrasonic 40Khz, speedy vibrates fatiness cells, makes the cell membrane produce the inner cracking, then get results in celulite removal, body slimming, Weight loss. It use on belly,legs, waist and arm. 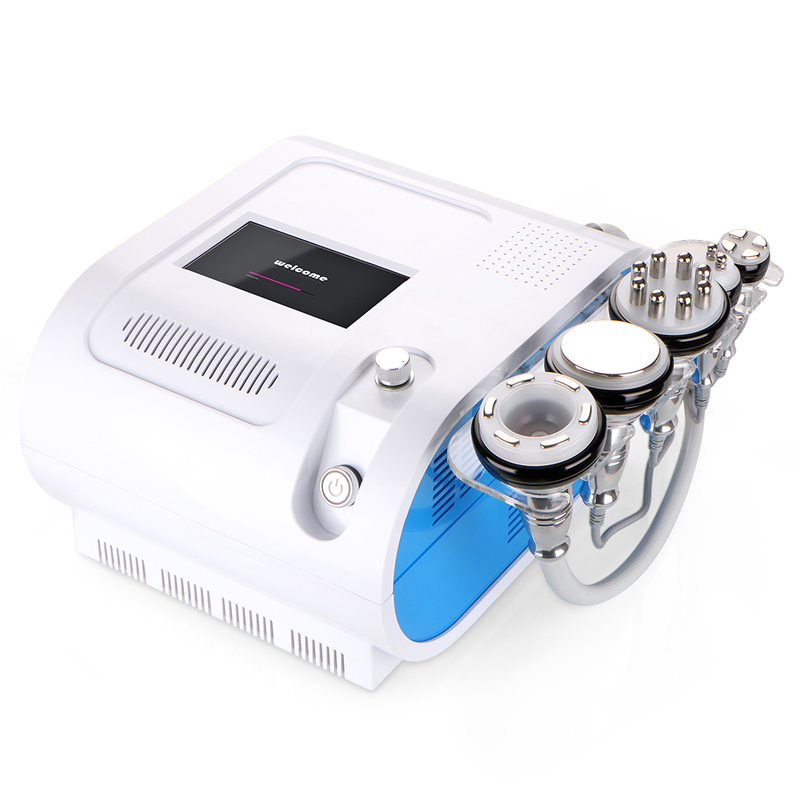 Vacuum RF penetration stimulates tissue under the skin, accelerates blood circulation and activates subcutaneous fat, stimulate proteins and cell renewal, to make skin firmer and more elastic. It use on belly, stomach, thigh, back, arm, leg. Bipolar metal RF radio frequency photon can fast created warm on skin dermis,get more collagen, accelerate blood circulation wrinkle removal and leaves skin softer, more elastic and shiny. It use on eye's around.